Unlike the usual 5 series, the BMW M5 is a high performance oriented luxury sedan. 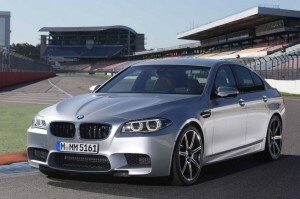 Unlike the usual 5 series, the BMW M5 has an aggressive body kit and better performance. The engine is a twin turbo 4.4L V8 which produces 560 horsepower between 6000 and 7000 rpm. In fact the turbocharger is placed between two cylinders thereby making it compact. The seven speed dual clutch transmission propels it from naught to 62 mph in 4.4 seconds and max out at an electronically limited speed of 155mph. However it doesn’t lack all the luxuries of the 5 series and can be used for daily runs. 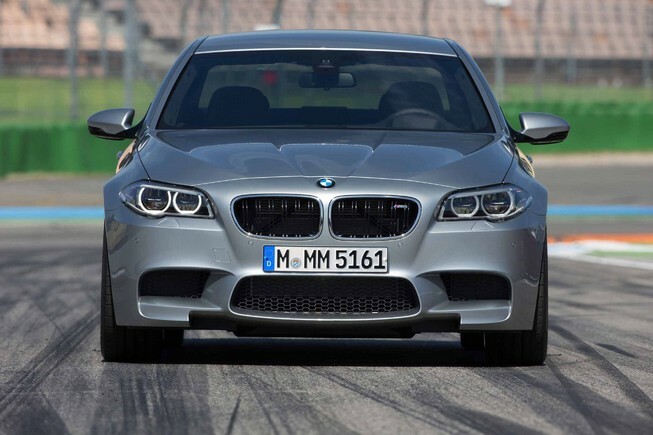 The M5 stands aggressive and its presence is announced by the M5 badge at the kidney grille. Priced at $92,000 it is a widely acclaimed luxury sports sedan!